I’m reeling today. There’s no possible way for anyone to bring me down. My focus level is zero and I have the attention span of a 2 year old. Man oh man…what a hockey game. First off, let me just say that we hope Mason Raymond is ok and that the Boston hospitals are taking good care of him. Those boards can be very unforgiving and the poor guy couldn’t have hit them at a worse angle. 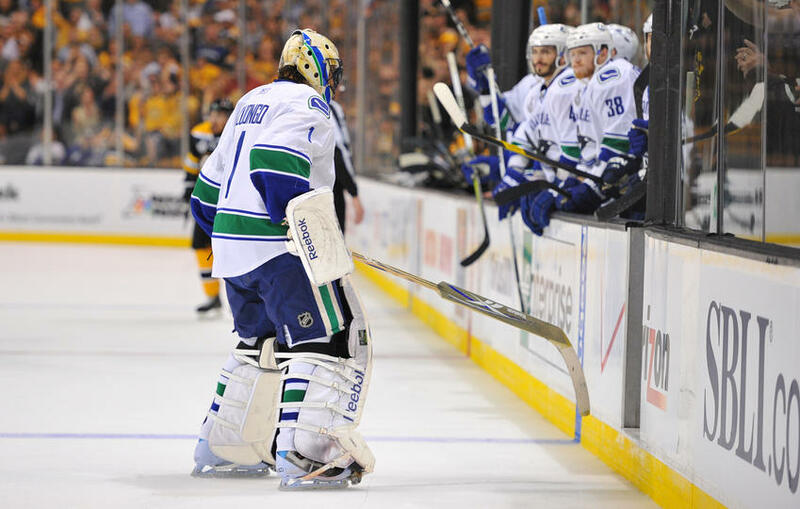 Last night, the Big Bad Bruins got inside Luongo’s head early–causing him to be pulled in the 1st period. Half of me feels bad for him…the other half of me is angry with him for some of the things he has said the past few days. I can now say that Vancouver is slowly making their way onto my strongly dislike list. S keeps reminding me that both teams are playing cheap and dirty, but like always…I’m being stubborn and swearing that Van is much worse. If that video doesn’t make you misty-eyed…. 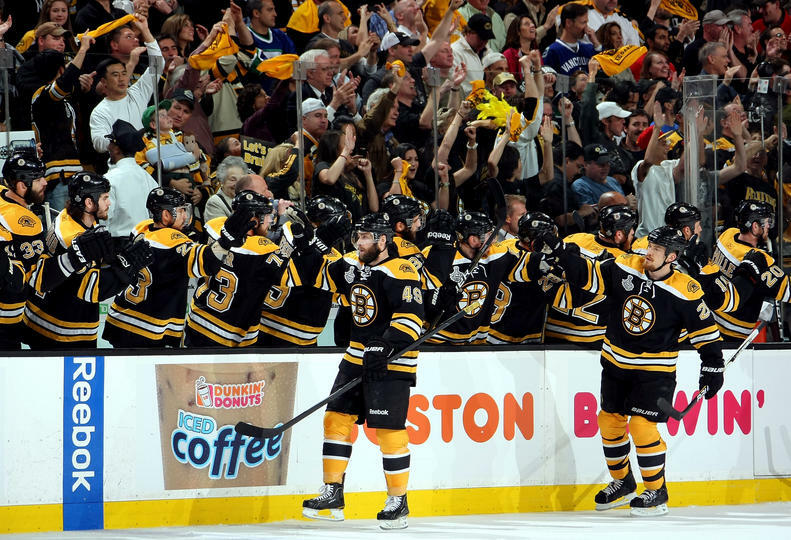 The B’s have a chance to bring the Cup home to Boston this weekend and I personally think it’s going to happen. I’m not just saying that because they are my team, I’m saying that based on what I’ve watched the past couple of games. Vancouver is getting tired and we’re getting stronger. I’ve been known to be wrong before and if I am…I’m be crushed. So crushed, in fact, I may cry. However, I will also cry if they win. Either way, tomorrow looks to be an emotionally draining day for me. Saw this on a friends facebook page and just had to share. 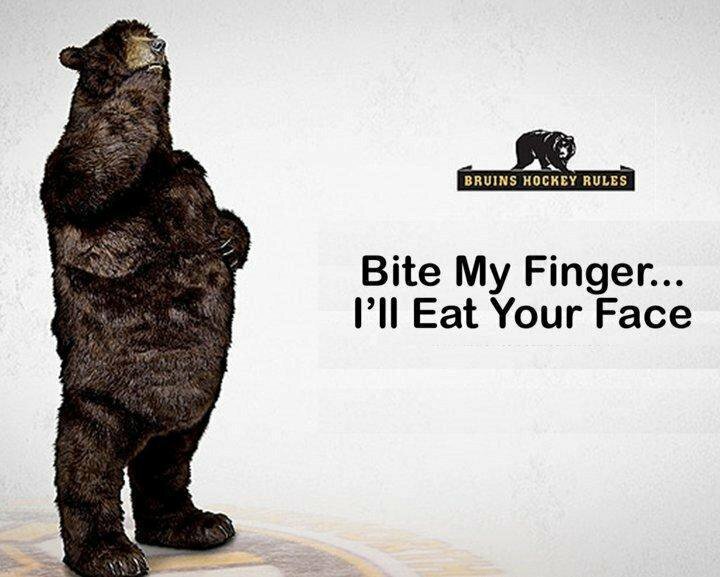 One of the best Bruins ads to come out this entire playoff season! Don't mess with the Bear...he looks hungry. 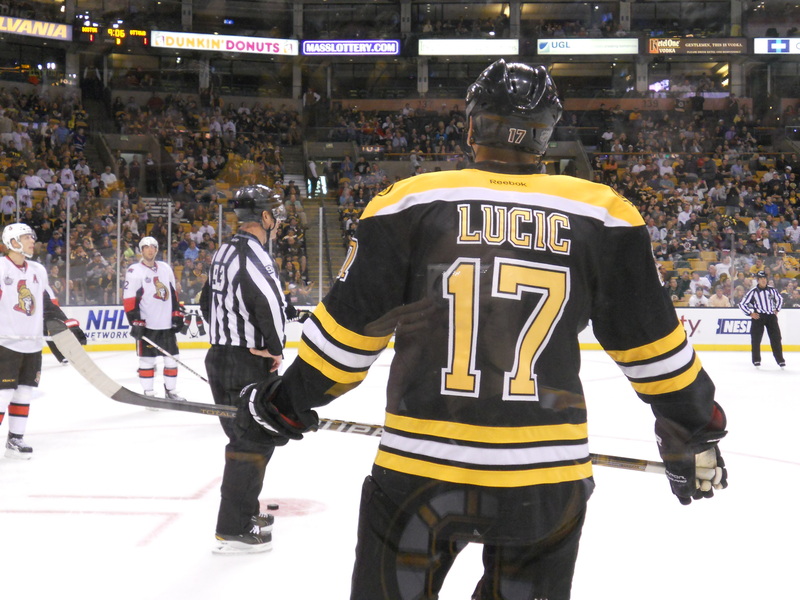 And this is just another reason why I love Looch! 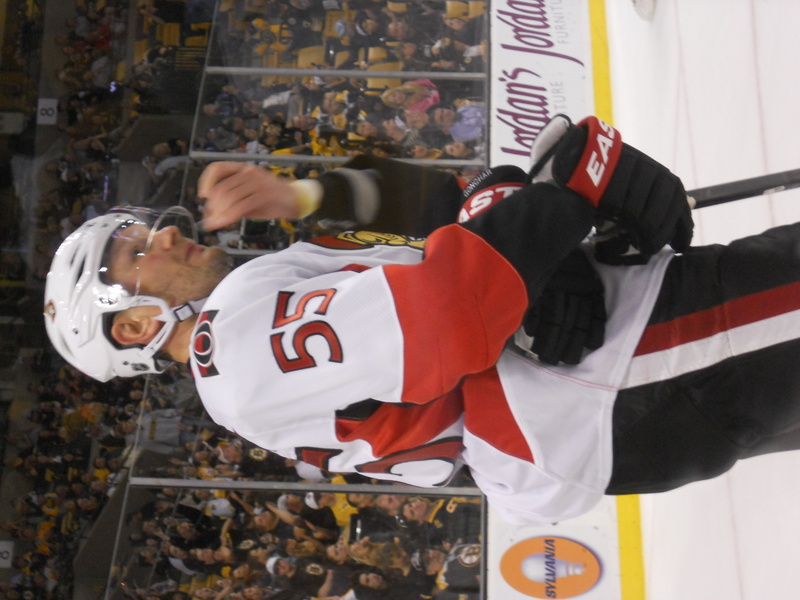 S calls it bad hockey manners…I call it karma. On another note: Aaron Rome is done for the season. But then again so is Horton. I’m still not happy about that hit, but at least the league finally took the responsibility of supplying a suspension. We love you and wish you a speedy recovery! We hope to see you on the ice next season! I’m not really sure where exactly to start about last night…but let’s get the obvious out of the way first. Pretty sure I heard the Garden erupt from my house an hour outside the city. 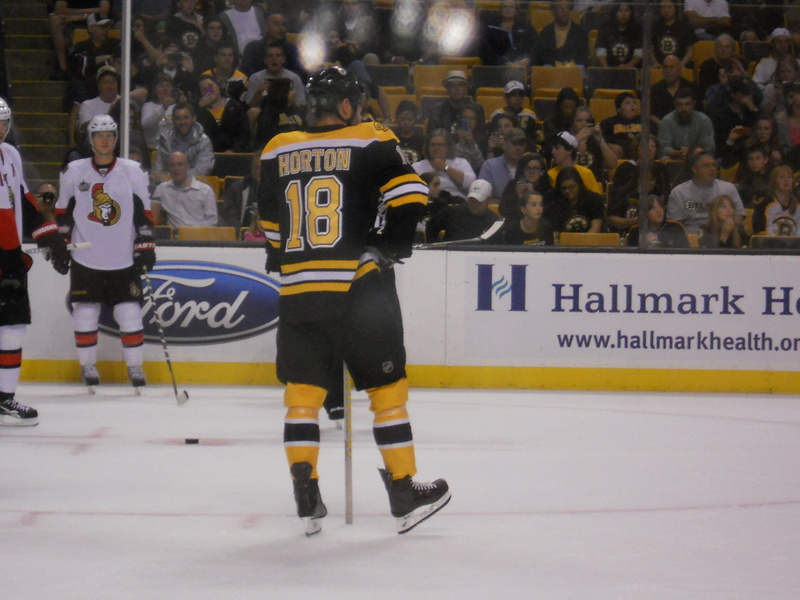 It’s never fun to watch a player go down the way Horton did. 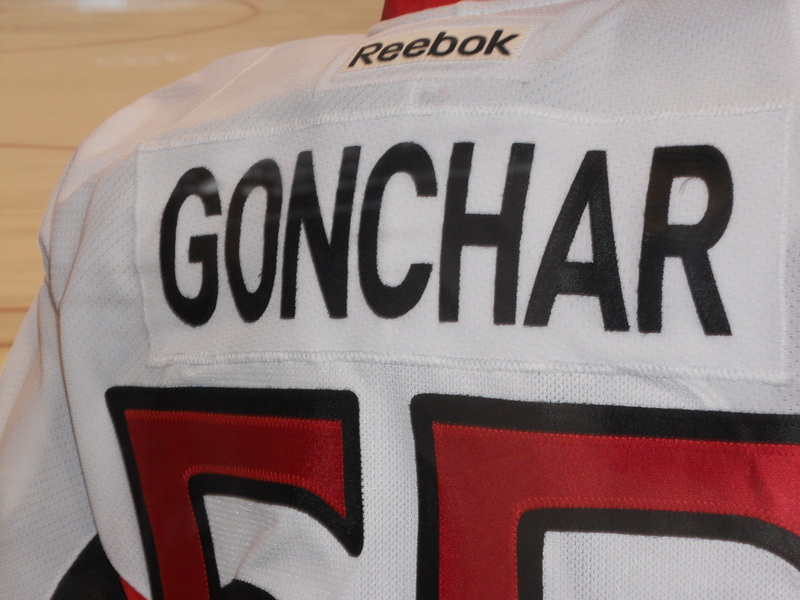 To make matters worse, he’s one of our favorite (and key) players. 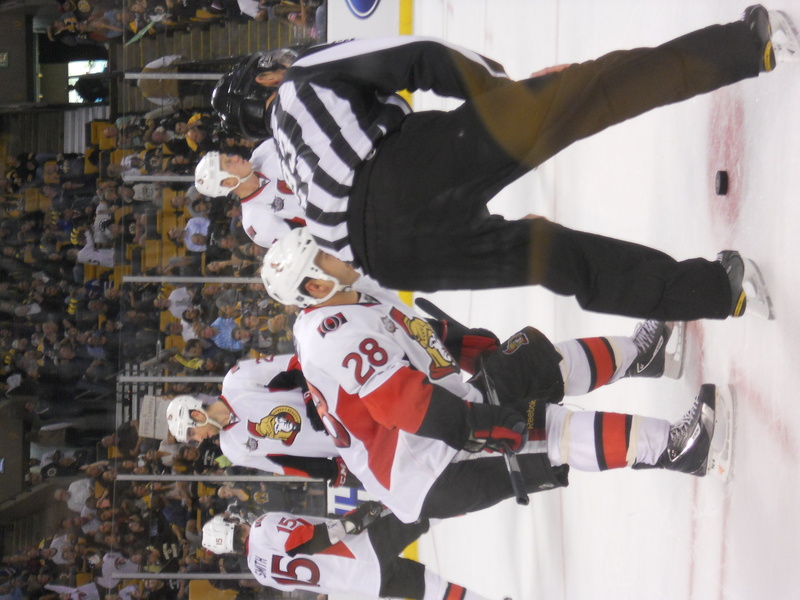 The only good thing that came out of that hit (if there can be any good) was the way the B’s played. 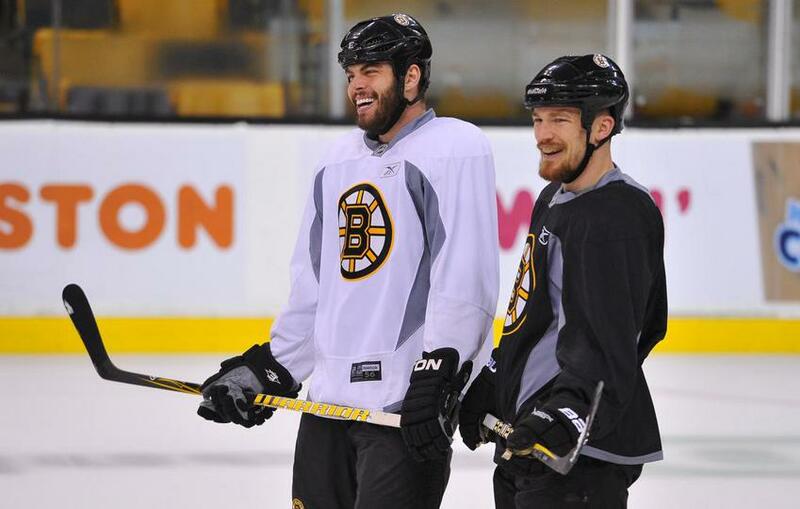 No doubt they were doing it for Horton. 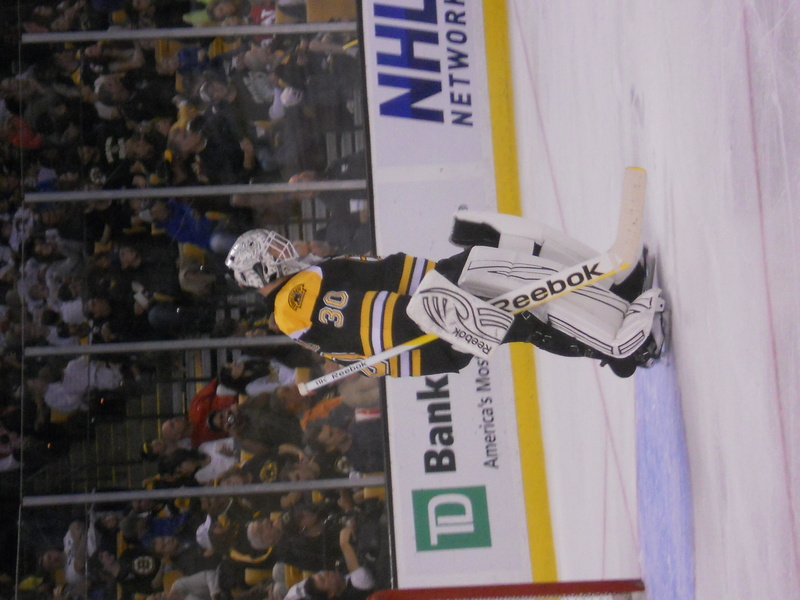 The second he got carried off the ice in a stretcher everyone knew that this game was meant to be for the B’s. Do it for Horty, boys. An 11am hearing (face to face in Boston) will take place and everyone is holding their breath for what the league will do to Rome. Will they suspend him? Or will it be the typical “it’s the playoffs” kinda deal? If the league is serious about eliminating head shots, what better time than to prove that than now? I’ll be following Twitter closely from work today to see the outcome. 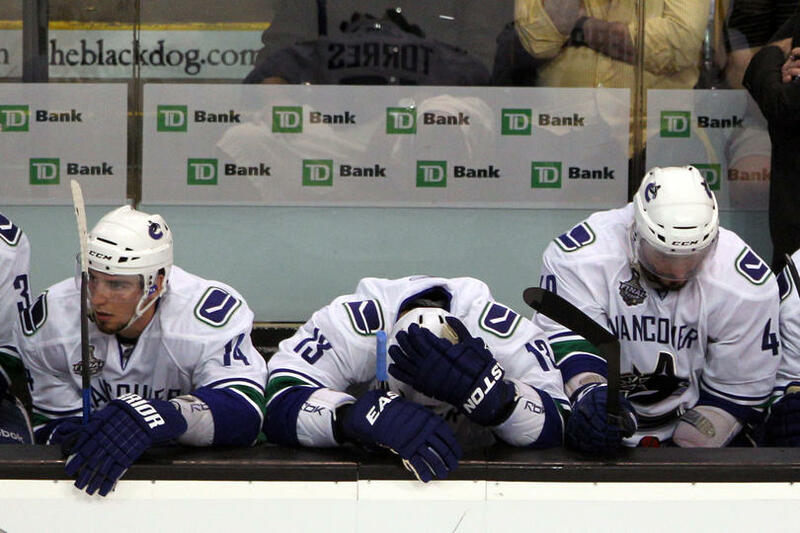 Now, lets talk about that sleeping bear the ‘nucks woke up last night. 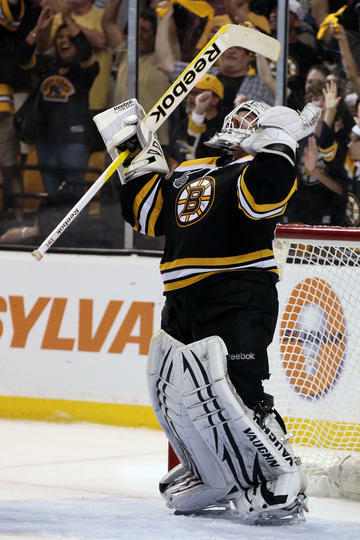 If Vancouver thought they were walking out of the Garden with a win last night after that hit…they were sadly mistaken. The ‘nucks were beaten (in every sense of the word) to a pulp last night and the Bruins showed them exactly what kind of a team they could be. 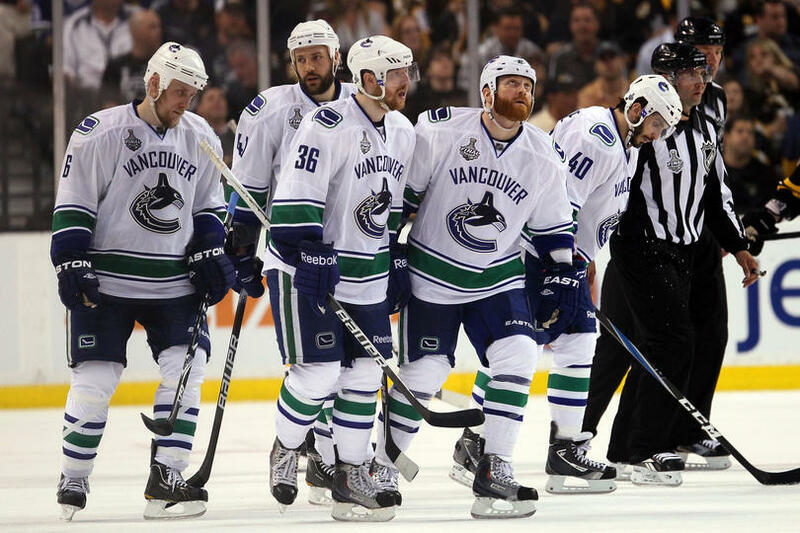 Vancouver, you are the first to land on L & S’ Sin Bin List. We are not happy. Not one bit. Way to grind it out, boys! 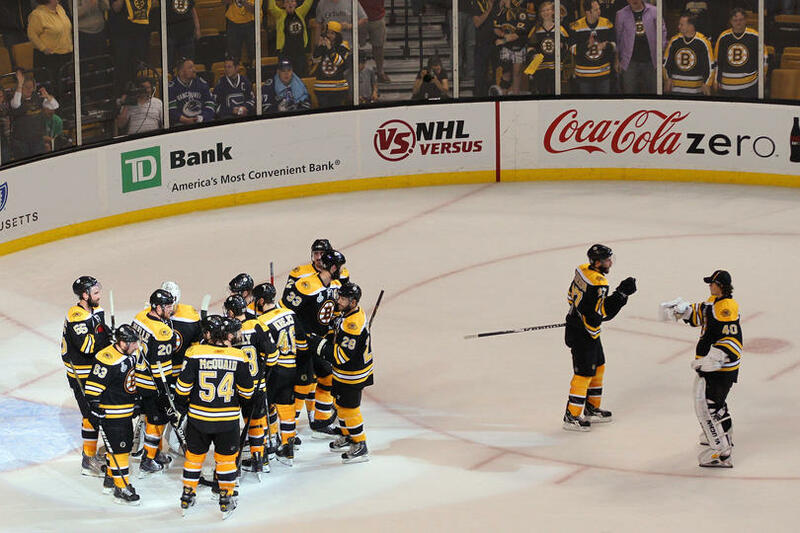 Now if only the B’s can play that way for 3 more games–but let’s not get ahead of ourselves. One day, game, and goal at a time. Horton. We love you and hope you make a speedy recovery. We need your smiling face on the ice. Now. Onto one more thing. I am NOT a happy camper. Not at all. Claude (for once) decided to change things up. 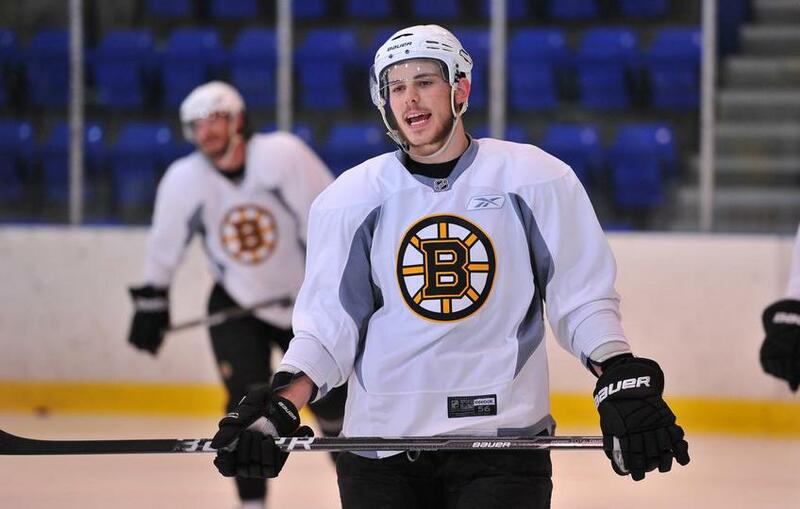 I hoped and prayed the rumors of Seguin being scratched were just rumors…but they weren’t. Baby Seguin was taken out of the lineup to put Thornton back in. And what’s even worse is I actually think he would have had a great game last night. By the way…S & I’s prediction of what time the puck would be dropped were wrong. It was 8:16. Darn. 3 minutes off. Last night was one of the more stressful games I’ve ever watched. I was so nervous I couldn’t even drink. My head is still pounding and I think I found a new gray hair…. I thought for sure Tampa was going to score and the Bruins were going to lose. The Bolts had everyone in the Boston area shaking in their boots. Roli and Timmy played the best games of their careers. Both defenses were on point. It was an even game all 3 periods! But Mr. Horton ended up getting 1 puck past Roli for the game-winning goal. Good job Horton. 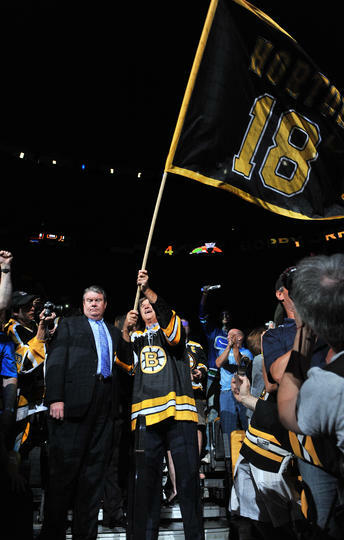 You are Boston's hero. I feel like this is dejà vu…didn’t he score the game-winning goal against the Habs in Game 7 too?? Anyway, you get ‘the jacket’ Mr. Horton. …while everyone else was laughing and making fun, my heart was pounding hoping he was ok.
My heart swelled with pride when I heard he came back on the bench. There was no doubt his nose was absolutely shattered, but like a true hockey player he put the pain aside to try and help his team win there way to the Cup Finals. 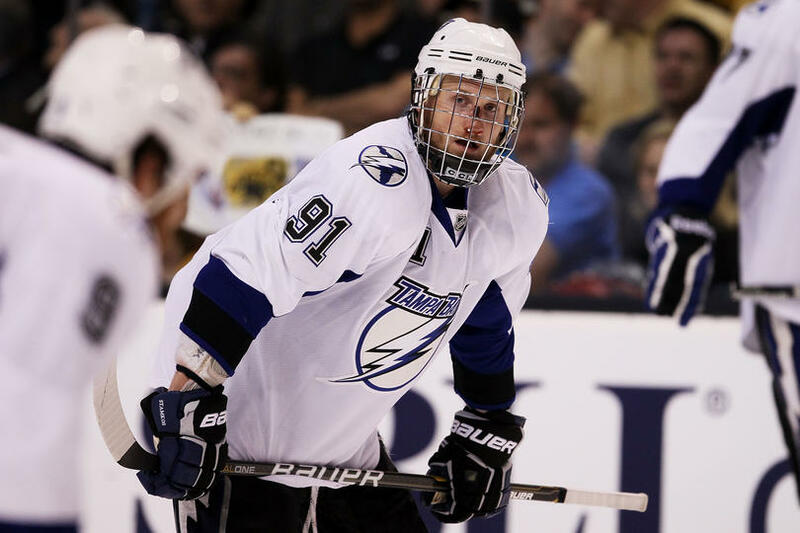 I'm proud of you Stammer. You're a true champ! I will miss watching Tampa play for the remainder of the Stanley Cup Playoffs. What a team. Great season boys!! L & S couldn’t be more proud! 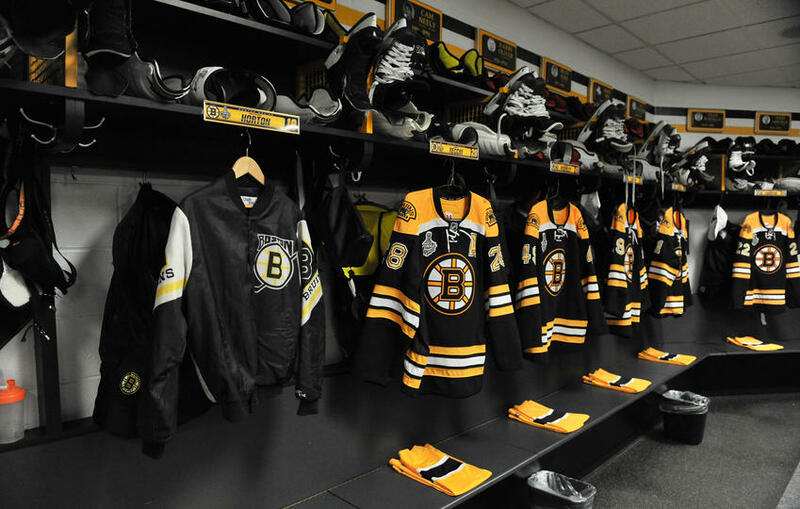 Now, The Big Bad Bruins play the Vancouver Canucks for Lord Stanley. Without even having to ask S, I know her prediction. She’s probably on shop.nhl.com right now buying all the ‘nucks gear she can find. This is where 10 years of friendship pays off…I can tell you she’s predicting the Canucks in 4. She’s hoping the Bruins choke and Vancouver sweeps them. Well…I can’t say I disagree with her prediction. I’m thinking Canucks in 5. 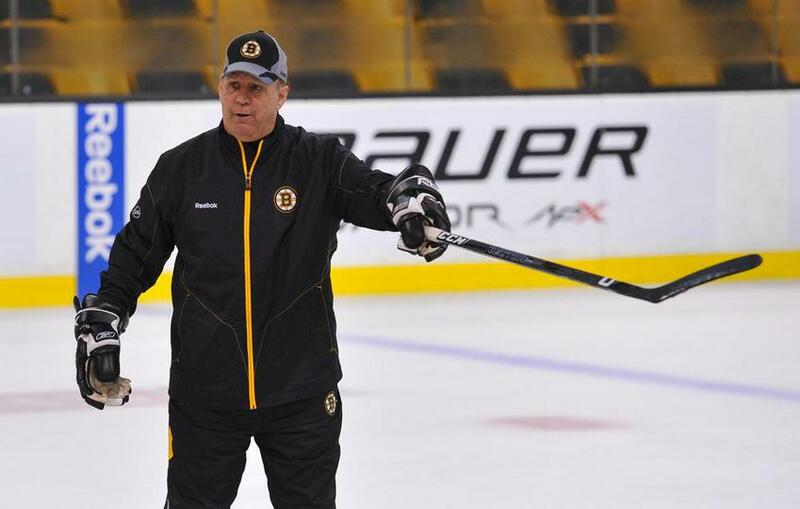 My poor Bruins are going to get a rude awakening. Vancouver is just too good this season. In order to lessen the chance of a heartache…I’m going to try and stay as neutral as I can through this next round. That way I won’t be disappointed/heartbroken/depressed when the Canucks win. And I can watch the games while being relaxed instead of ripping my hair out! 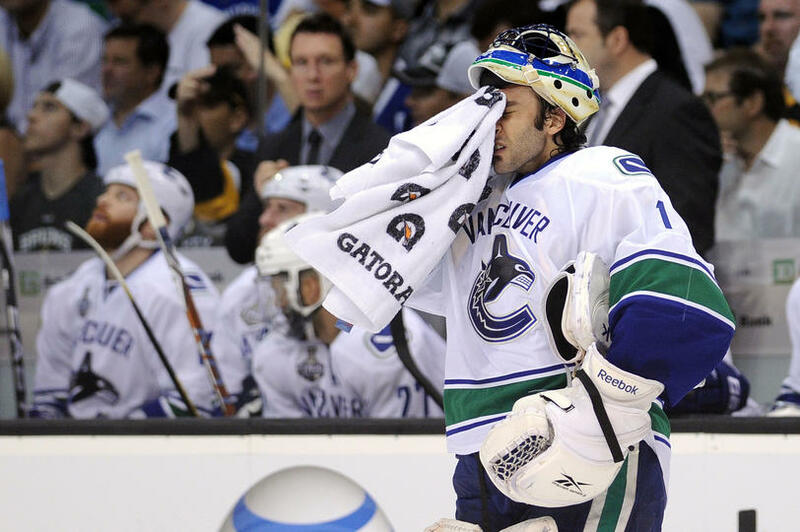 Sorry Bruins, I’m happy you made it this far…but I don’t think you have a prayer of making it past Vancouver.